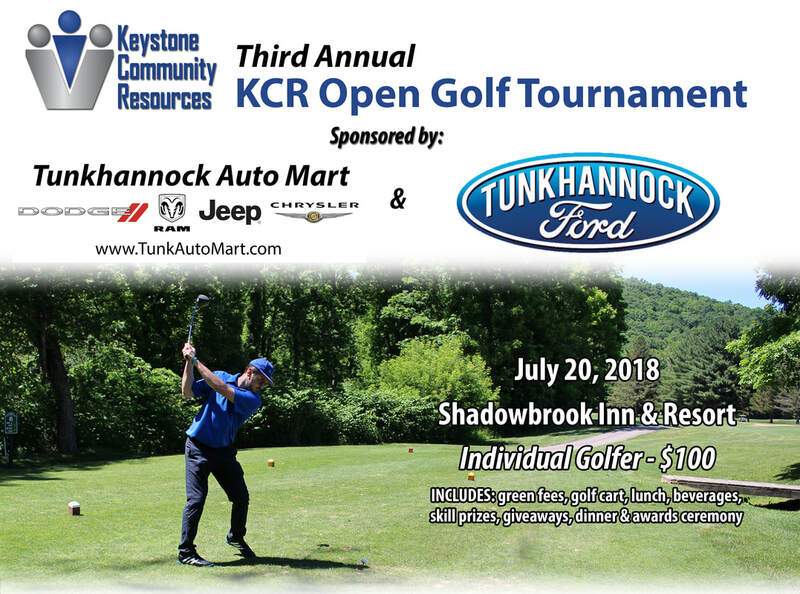 On behalf of the Susquehanna County Historical Society and Free Library Association, we would like to invite you to participate in our third annual KCR Open Golf Tournament to be held on July 20, 2018 at the Shadowbrook Inn and Resort. All proceeds will benefit the Susquehanna County Historical Society and Free Library Association. We are asking for your participation to help make this year even bigger and better success. 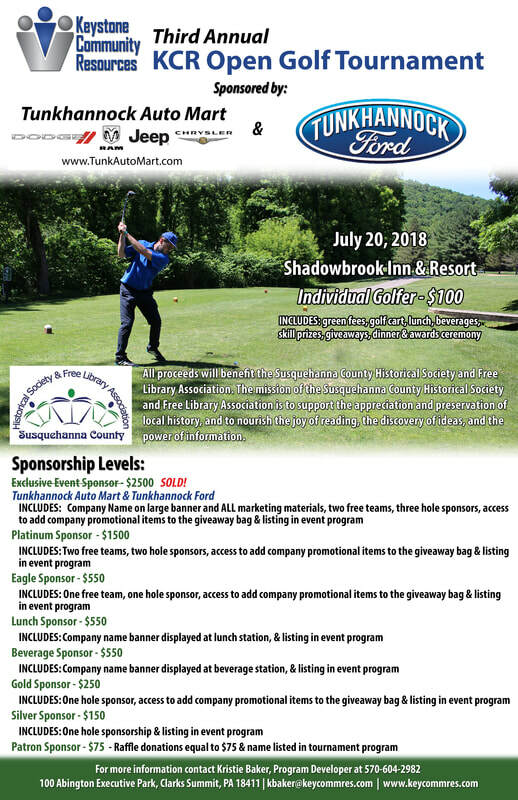 Last year we were able to donate $6,500 to the Seven Loaves Soup Kitchen in Tunkhannock, Pa. On the attached sheets are various levels of sponsorship and tournament registration. All proceeds will directly benefit the Susquehanna County Historical Society and Free Library Association. Registration will begin at 11:30 a.m. with a shotgun start at 12:30 p.m. and lunch will be served on the turn. The tournament will be a Captain and Crew format with prizes awarded to the winning teams, along with several skill prizes and giveaways. A steak dinner ceremony will highlight and recognize our sponsors and our winning teams. ​​All proceeds will benefit the Susquehanna County Historical Society and Free Library Association. Their mission is to support the appreciation and preservation of local history, and to nourish the joy of reading, the discovery of ideas, and the power of information.